This handbook was developed to help our student shoppers, but should be useful for anyone. 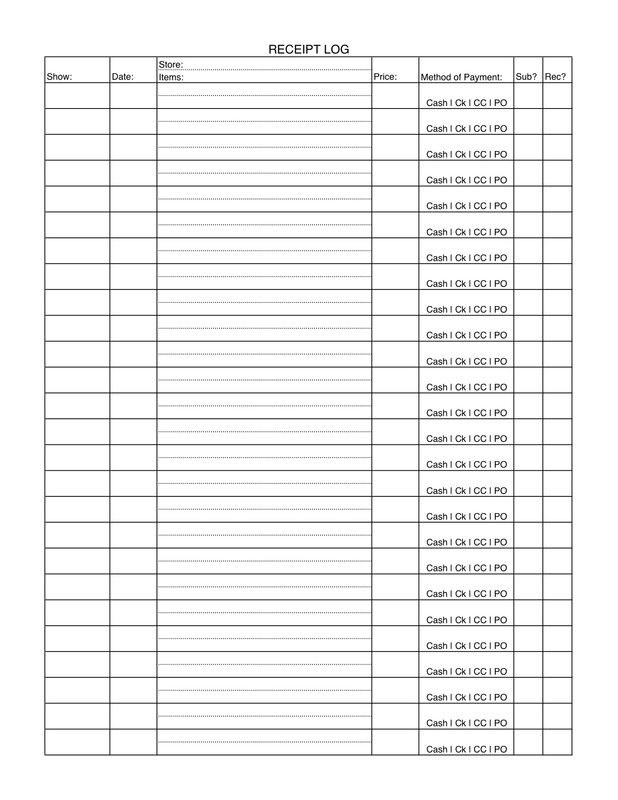 Below you can look at and download the forms and charts from each section of the Handbook. All downloads are in either MS Word (.doc) or MS Excel (.xls) format so you will need these programs to use them yourself. If you would prefer to download all the forms at one time, please click here for a zipped archive of all the forms. 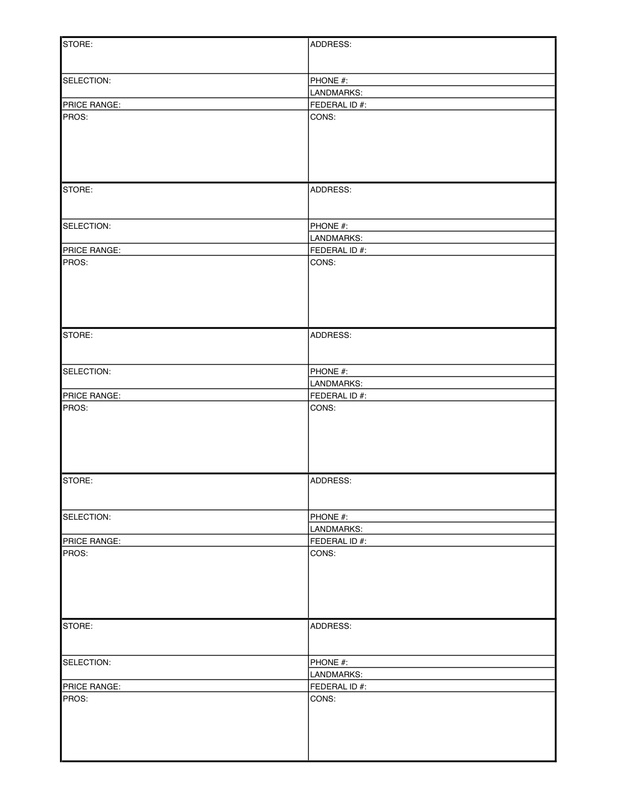 These forms are designed to help identify and evaluate local sources. They should help point shoppers in the right direction especially for stores they are not familiar with. 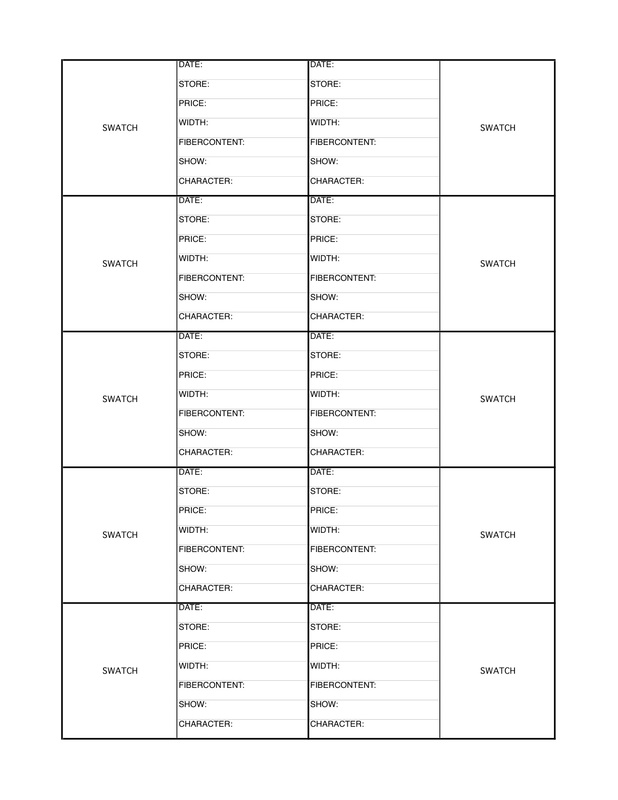 The swatching forms should ensure that the student gathers all of the important information when swatching a show. I reworked several yardage conversion charts into two user-friendly versions that center around an initial estimate of 45" wide fabric or 60" wide fabric. 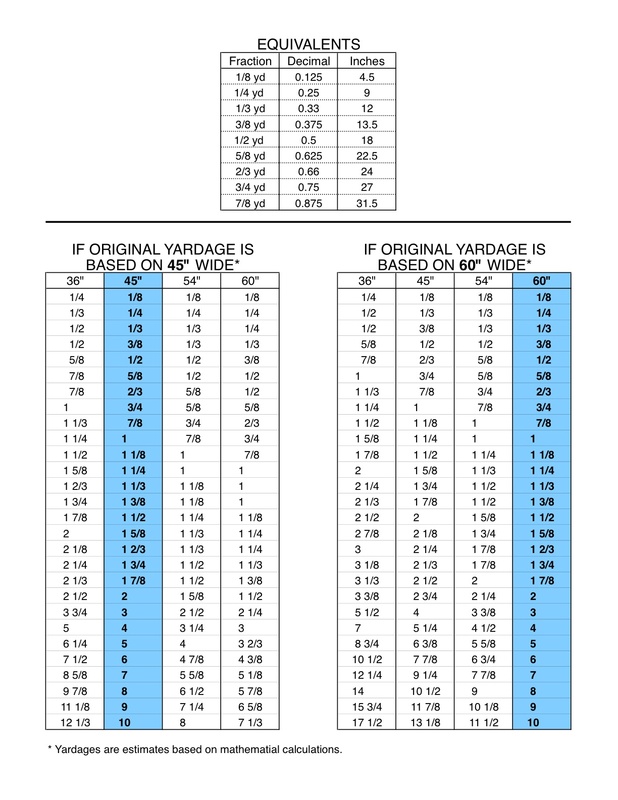 Also included with this chart is a table to help convert fractional yardage measurements into both decimal form and inches. 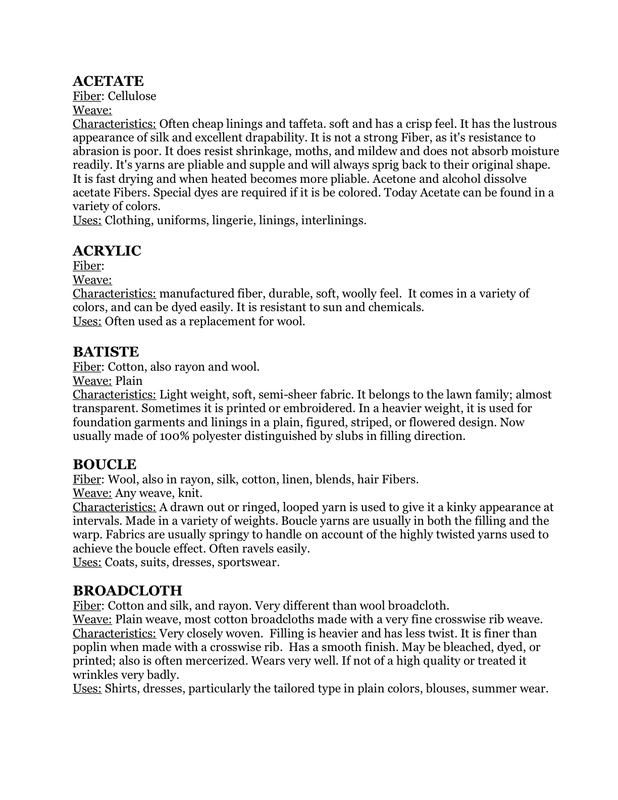 I have compiled common fabric and fiber definitions from the textile dictionary at http://www.ntgi.net/ICCF&D/textile.htm. This will help my students make more informed decisions, as well as enable better communication with fabric store employees. 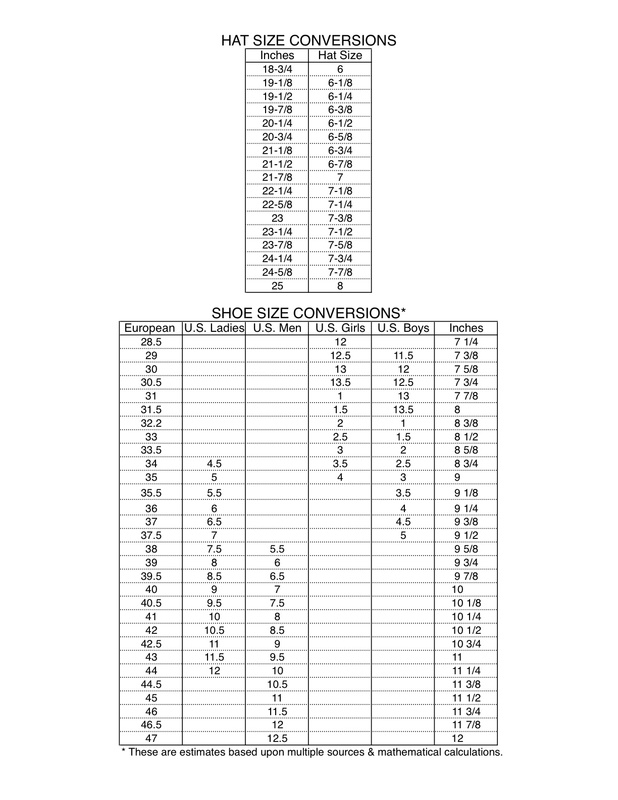 Because there is not a universal standard, these hat and shoe conversion charts are compiled from many sources. The receipt log (and zipper pouch) should prevent or limit lost receipts. 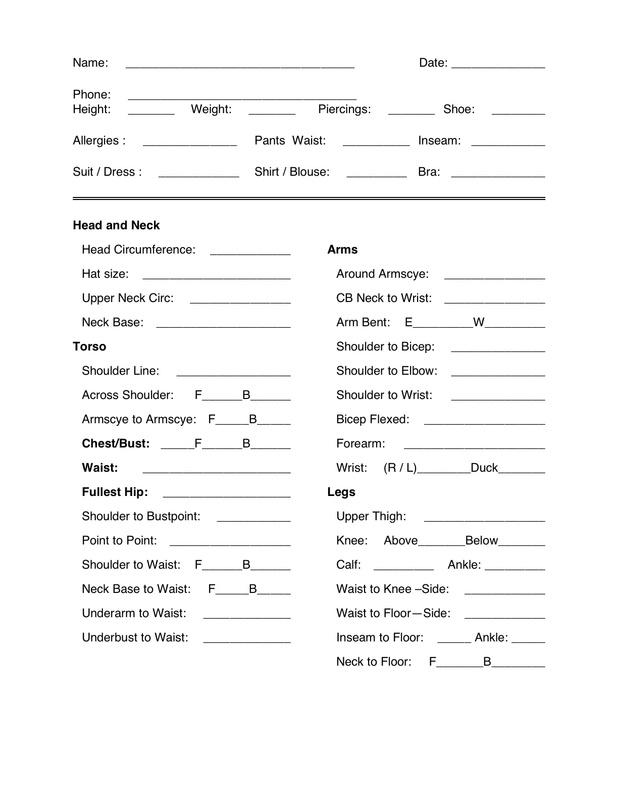 While I assume most of you will already have a measurment form you prefer, I have included a copy of my own as an example.